22.10.18 18:59;Account;Receive;Received Payment 2.38 USD from account U18800343 to account U1294000. Batch: 233049691. Memo: API Payment. Withdraw to allhyips from Hour Dream LTD.
22.10.18 11:49;Account;Receive;Received Payment 3.98 USD from account U18800343 to account U1294000. Batch: 232998786. Memo: API Payment. Withdraw to allhyips from Hour Dream LTD.
26.10.18 10:56;Account;Receive;Received Payment 4.11 USD from account U18800343 to account U1294000. Batch: 233466996. Memo: API Payment. Withdraw to allhyips from Hour Dream LTD.
26.10.18 05:12;Account;Receive;Received Payment 1.62 USD from account U18800343 to account U1294000. Batch: 233440698. Memo: API Payment. Withdraw to allhyips from Hour Dream LTD.
25.10.18 11:03;Account;Receive;Received Payment 3.72 USD from account U18800343 to account U1294000. Batch: 233359365. Memo: API Payment. Withdraw to allhyips from Hour Dream LTD.
27.10.18 19:40;Account;Receive;Received Payment 1.26 USD from account U18800343 to account U1294000. Batch: 233614038. Memo: API Payment. Withdraw to allhyips from Hour Dream LTD.
27.10.18 05:28;Account;Receive;Received Payment 1.68 USD from account U18800343 to account U1294000. Batch: 233546138. Memo: API Payment. Withdraw to allhyips from Hour Dream LTD.
26.10.18 19:53;Account;Receive;Received Payment 1.16 USD from account U18800343 to account U1294000. Batch: 233522539. Memo: API Payment. Withdraw to allhyips from Hour Dream LTD.
02.11.18 19:38;Account;Receive;Received Payment 2.4 USD from account U18800343 to account U1294000. Batch: 234598791. Memo: API Payment. Withdraw to allhyips from Hour Dream LTD.
03.11.18 17:02;Account;Receive;Received Payment 3.43 USD from account U18800343 to account U1294000. Batch: 234686039. Memo: API Payment. Withdraw to allhyips from Hour Dream LTD.
03.11.18 03:16;Account;Receive;Received Payment 1.07 USD from account U18800343 to account U1294000. Batch: 234620093. Memo: API Payment. Withdraw to allhyips from Hour Dream LTD.
04.11.18 11:00;Account;Receive;Received Payment 2.23 USD from account U18800343 to account U1294000. Batch: 234749841. Memo: API Payment. Withdraw to allhyips from Hour Dream LTD.
05.11.18 17:40;Account;Receive;Received Payment 1.68 USD from account U18800343 to account U1294000. Batch: 234906964. Memo: API Payment. Withdraw to allhyips from Hour Dream LTD.
05.11.18 08:24;Account;Receive;Received Payment 3.22 USD from account U18800343 to account U1294000. Batch: 234841650. Memo: API Payment. Withdraw to allhyips from Hour Dream LTD.
06.11.18 18:00;Account;Receive;Received Payment 1.69 USD from account U18800343 to account U1294000. Batch: 235039069. Memo: API Payment. Withdraw to allhyips from Hour Dream LTD.
06.11.18 07:36;Account;Receive;Received Payment 1.82 USD from account U18800343 to account U1294000. Batch: 234961800. Memo: API Payment. Withdraw to allhyips from Hour Dream LTD.
07.11.18 18:43;Account;Receive;Received Payment 4.19 USD from account U18800343 to account U1294000. Batch: 235171497. Memo: API Payment. Withdraw to allhyips from Hour Dream LTD.
07.11.18 04:24;Account;Receive;Received Payment 1.25 USD from account U18800343 to account U1294000. Batch: 235077063. Memo: API Payment. Withdraw to allhyips from Hour Dream LTD.
09.11.18 04:07;Account;Receive;Received Payment 0.9 USD from account U18800343 to account U1294000. Batch: 235322682. Memo: API Payment. Withdraw to allhyips from Hour Dream LTD.
08.11.18 18:42;Account;Receive;Received Payment 2.41 USD from account U18800343 to account U1294000. Batch: 235292408. Memo: API Payment. Withdraw to allhyips from Hour Dream LTD.
10.11.18 20:43;Account;Receive;Received Payment 2.48 USD from account U18800343 to account U1294000. Batch: 235525981. Memo: API Payment. Withdraw to allhyips from Hour Dream LTD.
10.11.18 07:01;Account;Receive;Received Payment 1.8 USD from account U18800343 to account U1294000. Batch: 235451003. Memo: API Payment. Withdraw to allhyips from Hour Dream LTD.
09.11.18 18:26;Account;Receive;Received Payment 2.84 USD from account U18800343 to account U1294000. Batch: 235407375. Memo: API Payment. Withdraw to allhyips from Hour Dream LTD.
12.11.18 04:14;Account;Receive;Received Payment 1.18 USD from account U18800343 to account U1294000. Batch: 235645413. Memo: API Payment. Withdraw to allhyips from Hour Dream LTD.
11.11.18 18:25;Account;Receive;Received Payment 2.22 USD from account U18800343 to account U1294000. Batch: 235613945. Memo: API Payment. Withdraw to allhyips from Hour Dream LTD.
13.11.18 06:41;Account;Receive;Received Payment 1.34 USD from account U18800343 to account U1294000. Batch: 235787186. Memo: API Payment. Withdraw to allhyips from Hour Dream LTD.
12.11.18 18:47;Account;Receive;Received Payment 3.28 USD from account U18800343 to account U1294000. Batch: 235745443. Memo: API Payment. Withdraw to allhyips from Hour Dream LTD.
14.11.18 03:23;Account;Receive;Received Payment 1.72 USD from account U18800343 to account U1294000. Batch: 235902846. Memo: API Payment. Withdraw to allhyips from Hour Dream LTD.
13.11.18 18:30;Account;Receive;Received Payment 1.78 USD from account U18800343 to account U1294000. Batch: 235872061. Memo: API Payment. Withdraw to allhyips from Hour Dream LTD.
15.11.18 03:16;Account;Receive;Received Payment 0.72 USD from account U18800343 to account U1294000. Batch: 236023418. Memo: API Payment. Withdraw to allhyips from Hour Dream LTD.
14.11.18 19:08;Account;Receive;Received Payment 2.49 USD from account U18800343 to account U1294000. Batch: 235995266. Memo: API Payment. Withdraw to allhyips from Hour Dream LTD.
16.11.18 18:36;Account;Receive;Received Payment 4.11 USD from account U18800343 to account U1294000. Batch: 236234027. Memo: API Payment. Withdraw to allhyips from Hour Dream LTD.
15.11.18 16:49;Account;Receive;Received Payment 3.67 USD from account U18800343 to account U1294000. Batch: 236107493. Memo: API Payment. Withdraw to allhyips from Hour Dream LTD.
18.11.18 02:55;Account;Receive;Received Payment 1.93 USD from account U18800343 to account U1294989. Batch: 236363351. Memo: API Payment. Withdraw to allhyips from Hour Dream LTD.
17.11.18 16:20;Account;Receive;Received Payment 2.5 USD from account U18800343 to account U1294000. Batch: 236325144. Memo: API Payment. Withdraw to allhyips from Hour Dream LTD.
17.11.18 05:13;Account;Receive;Received Payment 1.93 USD from account U18800343 to account U1294000. Batch: 236267584. Memo: API Payment. 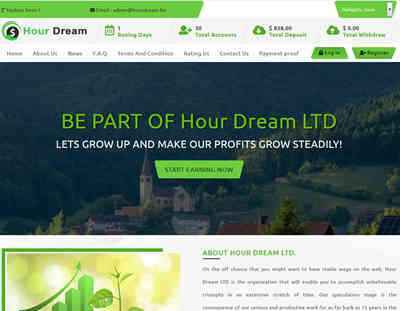 Withdraw to allhyips from Hour Dream LTD.
19.11.18 03:43;Account;Receive;Received Payment 1.02 USD from account U18800343 to account U1294000. Batch: 236471252. Memo: API Payment. Withdraw to allhyips from Hour Dream LTD.
18.11.18 18:26;Account;Receive;Received Payment 2.86 USD from account U18800343 to account U1294000. Batch: 236441628. Memo: API Payment. Withdraw to allhyips from Hour Dream LTD.
20.11.18 03:55;Account;Receive;Received Payment 1.85 USD from account U18800343 to account U1294000. Batch: 236598998. Memo: API Payment. Withdraw to allhyips from Hour Dream LTD.
19.11.18 18:01;Account;Receive;Received Payment 2.64 USD from account U18800343 to account U1294000. Batch: 236564414. Memo: API Payment. Withdraw to allhyips from Hour Dream LTD.
21.11.18 05:51;Account;Receive;Received Payment 1.9 USD from account U18800343 to account U1294000. Batch: 236736406. Memo: API Payment. Withdraw to allhyips from Hour Dream LTD.
20.11.18 19:19;Account;Receive;Received Payment 2.85 USD from account U18800343 to account U1294000. Batch: 236701438. Memo: API Payment. Withdraw to allhyips from Hour Dream LTD.